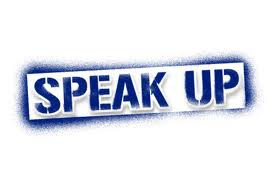 Mr. Rodriguez's Blog: 521 Blog Post number 4 Speak up! I love your idea of setting up a Twitter account to tweet students about assignments, ideas, etc. I think this could be a great form of interaction for your students outside of school to remind them about how important their education is and to get them motivated to do their homework. This form of support will be great for students who have smartphones; my only worry is for students who do not have smartphones.